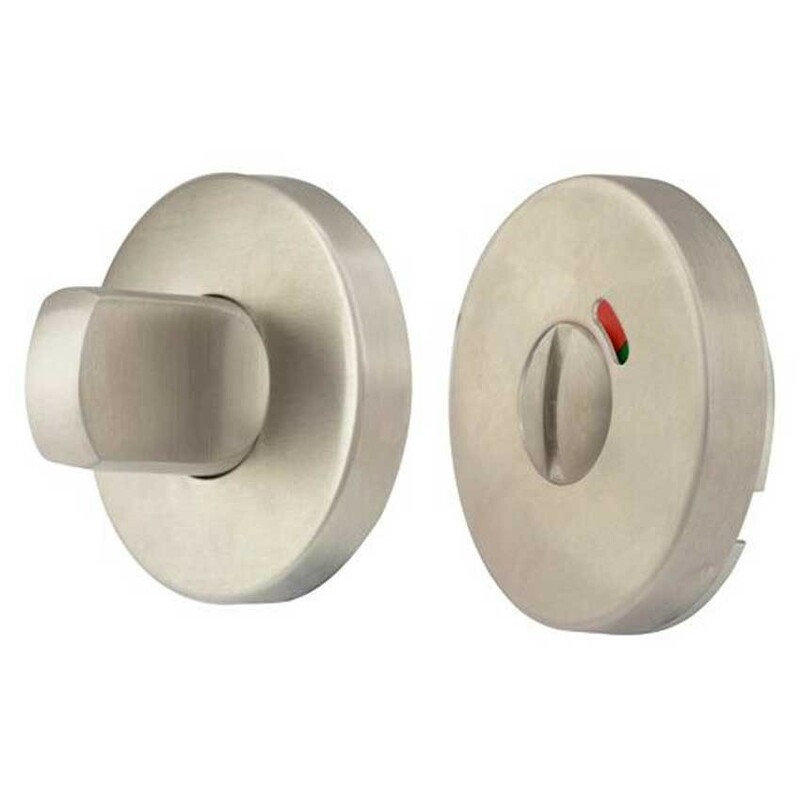 TSS Bathroom Indicator And Turn set finished in Satin Stainless Steel finish, ideally suited for use in commercial or modern domestic environments. Features a 5mm spindle for use with bathroom locks. Locked by thumbturn from the inside and emergency release from outside. Not suitable for spline key mortice and rack bolts. Supplied with fixing screws.